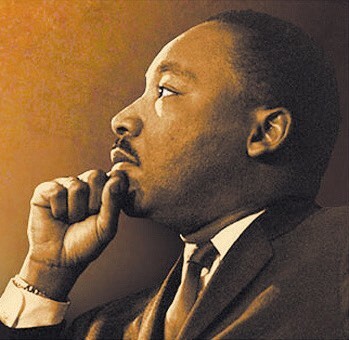 The inaugural MLK Institute for Community and Social Change, an intense two-day experience, is seeking participants who are concerned citizens, members of neighborhood associations, civic organizations, Greek organizations, college student organizations, and community organizers and representatives of faith organizations who want to make a difference in the Savannah community. Participants will have the opportunity to develop a customized action plan based on the needs of the community and their vision for meeting these needs. The MLK Institute, sponsored by the MLK Jr., Observance Day Association, Inc., takes place Friday and Saturday, Feb. 9-10, 2018, on the campus of Armstrong State University. Participants may register at the nominal cost of $20 per person. The fee includes workshops, learning materials and meals – including a closing luncheon at which Alderman Van Johnson II will bring the program’s closing remarks and also help present certificates of completion. The public is invited to attend the closing luncheon, at a cost of $15 per person. The deadline for registration and/or luncheon reservations is Jan. 8, 2018. “We look forward to attracting a diverse group of individuals and community leaders who want to commit to developing programs that will enhance the quality of life in Savannah,” said Carolyn Blackshear, president of the MLK Jr. Observance Day Association. Institute faculty will serve as small-group facilitators to help participants develop action plans. Participants, including some from student groups, will work with people who have similar challenges and goals.